After having been spotted as a test mule for quite some time now, Audi has finally pulled the wraps off the new Q5. It shares shares similar underpinnings with that of the new A4 – and loses some of its fat, which results in it being 100kgs lighter than its predecessor, thanks to its already familiar MLB platform. From the appearance of the new Q5, it is more than clear that there is a hint of the older Q5 in the overall shape – but upon looking closer at the details, it’s tighter-skinned frame, sharper styling cues and distinctive changes definitely make it refreshing to look at. In fact, a little bit of what the Q7 endows, is visible in the design of the new Q5. Up-front, you can either opt for the LEDs or the Matrix LEDs. Inside the SUV, features include a standard 7.0-inch infotainment screen, while an 8.3-inch screen will be available on top variants, while haptic feedback and an all-new head-up display unit are part of the package as well. Audi’s 12.3-inch Virtual Cockpit Display finds its way on to the new Q5 as well – as an optional feature of course, with air suspension and the self-leveling setting. Boot space has seen an increase at 610 litres. A slew of V6 engines will be available, in both – petrol and diesel guise, along with four-cylinder motors in some variants as well. The V6 are said to be all-new, while a 3.0-litre V6 diesel engine will serve in the SQ5. All-wheel drive will feature too, with a 7-speed dual-clutch auto box and a 6-speed manual on offer. 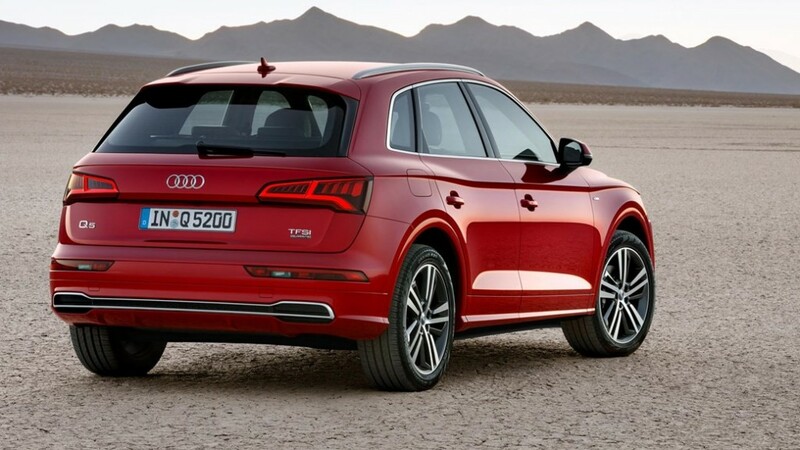 India will receive the new Q5 sometime later next year, with local assembly happening. Although production will begin at Audi’s new facility in Mexico. What Makes Apache RR310 Different From Its Rivals? He doesn't like mobile phones, and won't stand babble about them. Believes auto manufacturers should work around the idea of a car that looked like a 458 Italia, drove like a Caterham and sounds like a Wiesmann. Note: "goes like stink" hasn't been mentioned. You'd better talk cars, or you're just too boring for him. Read about politics? He's never calling you over for dinner then. Believes the Bristol Fighter should be given a second chance.